I have a 4oz. 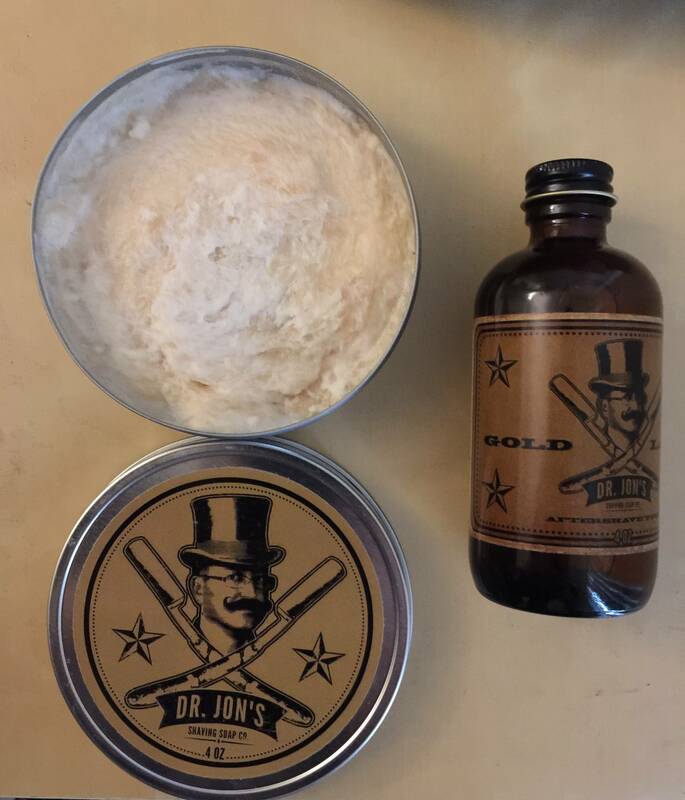 soap/aftershave set of Dr. Jon's Gold Label. Received yesterday, shaved with it this morning. Soap is phenomenal (scent and performance) but aftershave does not work with my body chemistry apparently. When applied all I can smell is a mossy/earthy smell, while not horrible it just isn't my cup of tea. Trades are welcome, PM me with trade offers. Shoot me an offer if anyone is interested but doesn't like the pricing... I am also interested in trading; offer anything up and ill get back to you.